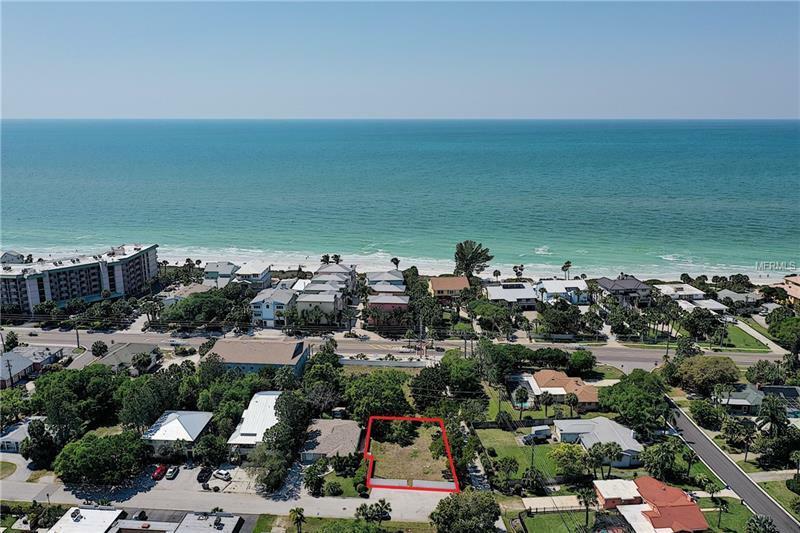 Situated 125 yards from the beach, this lot is located amongst all the action of Indian Rocks Beach. Build your dream home on this deep and wide lot. Indian Rocks Beach is a golf cart community, so bring your ride and explore all the shops, restaurants and parks. Bring your boat and use the neighborhood boat ramp to launch. Enjoy gorgeous Gulf-front sunsets only steps from your home.